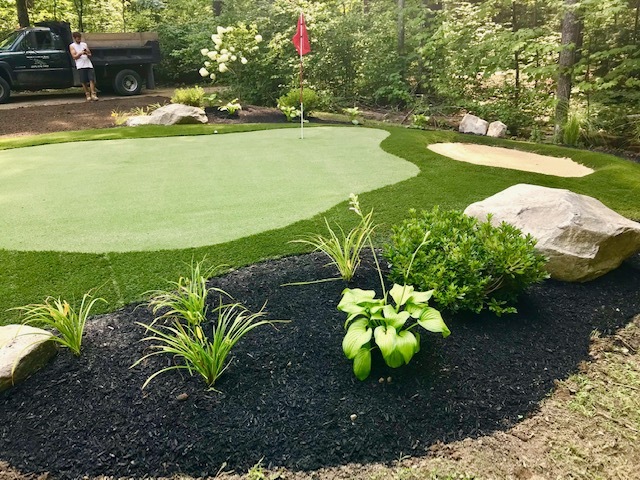 We install turf yards and specialty putting greens. 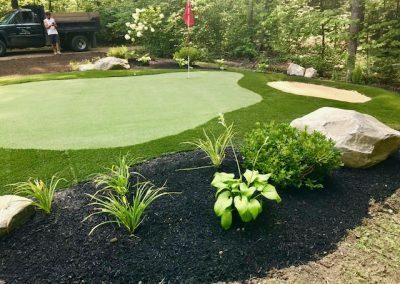 Whether your looking for a putting green or a sports court your family can enjoy, we can build a green to your specific needs. You can practice your short game or entertain family and friends all summer long in the privacy of your own backyard. 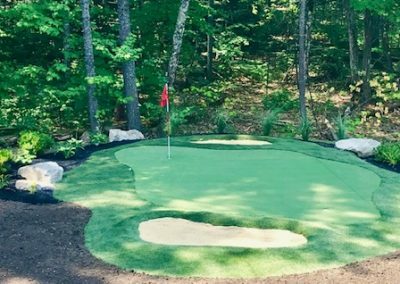 Practice like the pros! 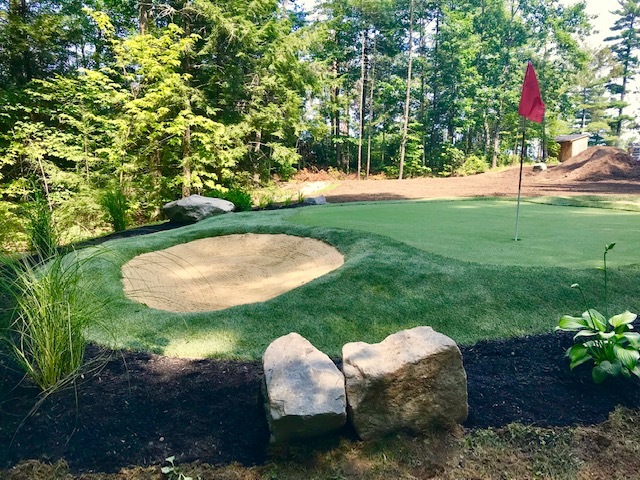 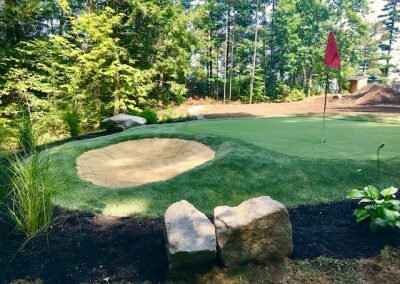 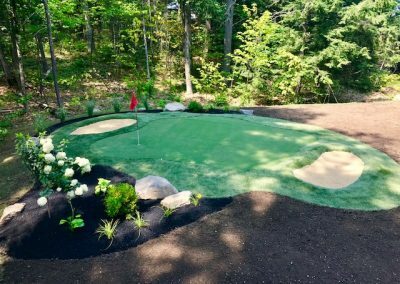 Let Northeast Landscaping add a specialty putting green to your backyard.